What Does a Content Engineer Do? Home / Treasury / Articles / What Does a Content Engineer Do? Content engineers organize the shape, structure, and application of content. They enable content personalization, targeting, reuse, and multichannel distribution. Content engineers bridge the divide between content strategists and producers and the developers and content managers who publish and distribute content. But rather than simply wedging themselves between these players, content engineers help define and facilitate the content structure during the entire content strategy, production and distribution cycle from beginning to end. With equal parts business and technology savvy, the content engineer does not see content as a static and finished piece. Rather, he or she looks at the value of the content and how it can best be adapted and personalized to serve customers and emerging content platforms, technologies, and opportunities. The content engineer connects content with applications. Content residing as big unstructured text blocks, residing in content management systems (CMS) gets easily stuck to one "web page" or presentation. The engineer designs the structure that content uses to connect from the CMS to multiple endpoints. These can include Google AMP pages, syndicated details relayed to search engines with Schema.Org rich-snippets or microdata, social sites with OpenGraph, chatbots, marketing automation systems, personalization applications, and the many other applications in the emerging intelligent world of knowledge transfer. By and large, content marketing suffers from two fundamental limitations that constrain the true power and potential that a great content marketing plan can bring to a business' bottom line. The first problem many content marketers face is how to make content more relevant and personalized to their audiences. Marketers may have very detailed customer personas built from user profiles and behavior tracking and know exactly what messages need to be delivered to each segment. But limitations like an outdated CMS, or a lack of knowledge on how to structure content to adapt to various devices and applications, can keep this valuable market data locked up and unusable for targeting. This is where the content engineer's expertise offers tremendous value. They take the personas definitions and the customer journey maps and identify the content structure needed to enable targeting. The marketer and content strategist direct the customer experience itself, and the content engineer makes it happen with content structure, schema, metadata, microdata, taxonomy, and CMS topology. Every day, consumers are gaining more control of the content they receive and demanding highly relevant and personalized content aligning with their needs and desires. Marketers who are burdened with one-size-fits-all content remain stuck managing their content rather than their customers' experience. In traditional content marketing, content producers create large blocks of well-written, but ultimately unwieldy content which must be broken up for different personas and distribution channels. Content engineers make content much more agile by providing content producers templates for different types of content with clearly defined structures and elements. These components can then be coded by developers allowing content to be combined in limitless ways in both native and third-party applications. Content engineers give marketers the "super powers" to move content-powered experiences across interfaces and personalization variants. Another problem content marketers face is that their ideas, roles and capabilities are often isolated or siloed from one another. On one end of the content marketing plan sit the content strategists who help define customer personas, content voice and tone, overall messaging and the plan for what they want the content to accomplish. At the opposite end of the content marketing line sit the developers. Their task is to take the carefully crafted and researched content strategist's plan and bring it into reality. The path from idea to execution, however, is often fraught with miscommunication, unspecific goals, and ultimately, disappointment. This is because the content strategist's plan must move through a variety of channels and departments, each with its own set of limitations and expectations, before it sees the light of day. Like a child's game of telephone, the message at the end often bears little resemblance to the message at the beginning. Again, this is where content engineers shine. Content strategists may know everything about their customer personas, and through which channels they want the content distributed, but without knowing what is possible, and how to communicate these ideas down the line, their plan may be doomed to failure. Content engineers help content strategists clearly define the data fields for customer personas and which types of content need to be distributed through which channels. They can then take this plan and make sure the correct practices, platforms and technologies are in place to take content strategy from dream to reality. In short, content engineers hold the keys that unlock both the gates that separate very talented and often isolated members of a content marketing team, as well as the full potential of what the team can accomplish. Here are five examples of what content engineers bring to different members of a marketing team and how they can help transform outdated content marketing models into powerful customer experience management. The typical role of a content strategist involves deciding what messages the business or brand wants to create and what goals they want to achieve with those messages. The strategist will then take this plan to a content producer who will then write content for either one or a number of channels. Content engineers work with content strategists by helping them connect content not as a fixed message (a blog or social media post for example), but as powerful electricity which can be channeled and manipulated as a form of output for any number of systems or purposes. Content producers are accustomed to receiving instructions on what content needs to be written and what form it should take and then left to their own devices. The result is a static piece of content formatted for a particular purpose or platform. A content engineer will work with a content producer by helping to find new sources of content and ways the content can be combined and presented. Rather than just writing a static article or web page, for example, the content producer might write rich snippets of content which can be combined with data (like sales figures or API routine codes) to produce dynamic content that can be manipulated, personalized and distributed in any number of ways. Content engineers also help develop or choose a CMS for content producers to use. A good CMS will have templates that content producers can use containing content elements which can be recombined, personalized and adapted for virtually any digital system. Developers are usually tasked with creating the technology that allows content to be published and viewed. Content engineers work with developers by creating taxonomies, metadata and other structures that allow content to be tagged, manipulated and displayed in whatever format the marketing strategy requires. The content engineer helps translate marketing strategy into clear technical needs and functions developers can build into content presentation systems like Sitecore, Kentico, Drupal, Adobe, Epi, or any of the hundreds of other ways to present content experiences. They free up developers to actually do the value-added programming and systems configuration that requires their specialized, high-cost expertise and training. Content managers are responsible for deploying content once it’s created. Their job is to get the content out to the right channels with as wide a reach as possible. Content engineers streamline the ways in which content managers distribute content to various channels, making it dynamic to serve multiple functions and platforms, and providing structure that facilitates personalization to satisfy the needs of each customer. Senior content engineers that have been around high-volume publishing environments enough, and have worked with enough authors, add additional value to the authoring experience. Content structure implemented well makes it easier for content writers and content managers to author to a single, very usable, interface for even complex content types that might contain dozens of elements. 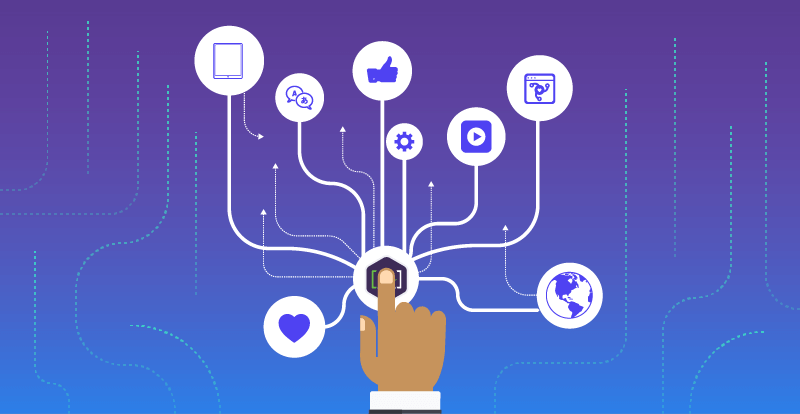 The personalization and targeting content variants engineers bring to the authoring process, along with clean and orderly taxonomy associations, turn traditional content management into robust and powerful customer experience management. By having a hand in each part of the content process, content engineers help all members of a marketing team work more smoothly, with the support and structures needed to get the most out of the content they produce. They ultimately allow marketing teams to worry and focus less on technology and more on creating great content that both serves their customers and delivers results, value, and better return on content asset investments. ​​Read [A]'s What is Content Engineering article.